Cherry Almond-This wonderful soap variety is perfect for those who are searching for a true skin cleanser. Along with the detoxing and skin-loving benefits of the Brazilian red clay in the top layer and Rhassoul clay in the middle layer, this soap has an added benefit of exfoliation with the crushed walnut shells that sit perfectly in the middle of the bar. 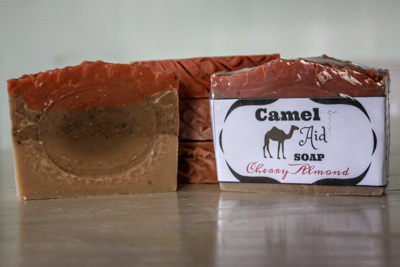 This soap will leave you feeling clean and totally rejuvenated!